In keeping with the ethos of the region that gave the world California cuisine, Garden Society’s edibles are made from only organic, fair trade, and locally sourced ingredients. Even their cannabis is biodynamically grown by their partners Shine on Farms before being extracted 100% naturally without any chemical solvents. Bliss Blossoms are milk chocolate bites—infused with 10mg of THC from an indica-dominant strain—that taste as good as they sound. A collaboration between two Humboldt-based botanists and herbalists with over 25 years of experience and a shared reverence for the cannabis plant, Humboldt Apothecary seeks to blend ancient wisdom with the latest science, thereby “using herbal alchemy to create human harmony.” They offer 10 different cannabis tinctures, each with a unique blend of medicinal and therapeutic herbs and different ratios of THC and CBD. 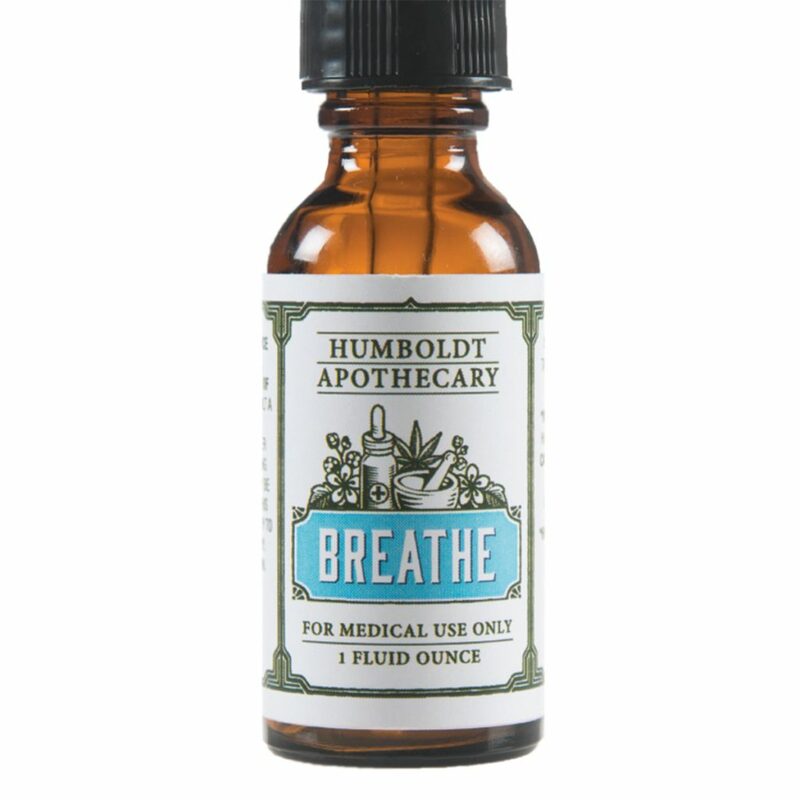 The Breathe Tincture aims to address respiratory complaints, and includes organic alcohol, cannabis extract, honey, elecampane, mullein, yerba santa, devil’s club, and peppermint essential oil. 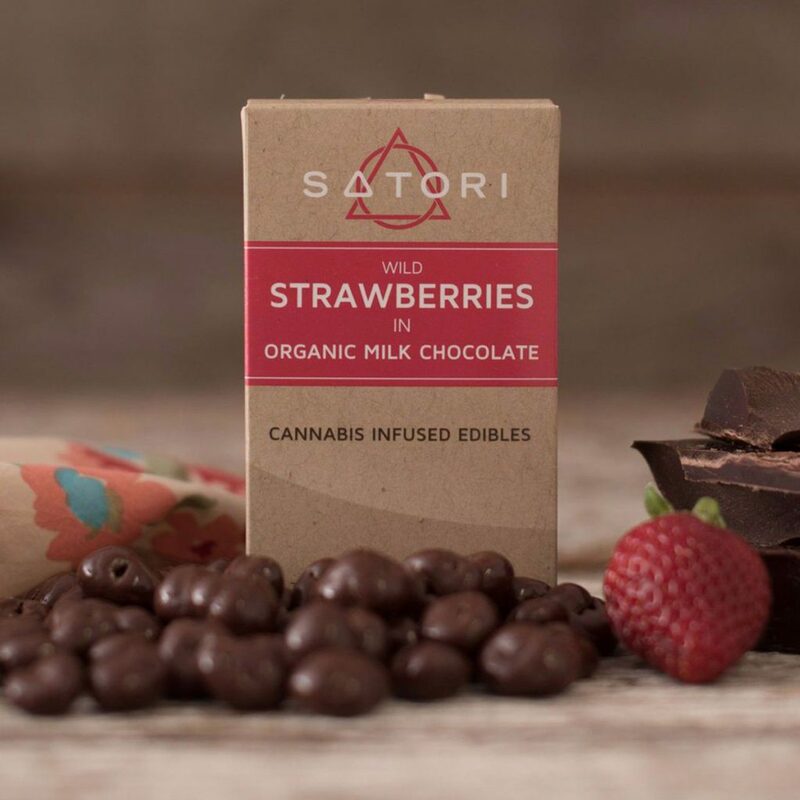 Winners of Top Edible honors at the 2017 High Times Cannabis Cup, Satori produces a full range of edibles, all powered by connoisseur-quality cannabis grown and processed by the team at Cannacraft. The Chocolate Bites are sold in six tantalizing flavors including the strawberry bites, with the chocolate coming from San Francisco’s highly respected TCHO Chocolates. Each strawberry contains approximately 3mg of THC, allowing devotees to microdose with confidence and style. 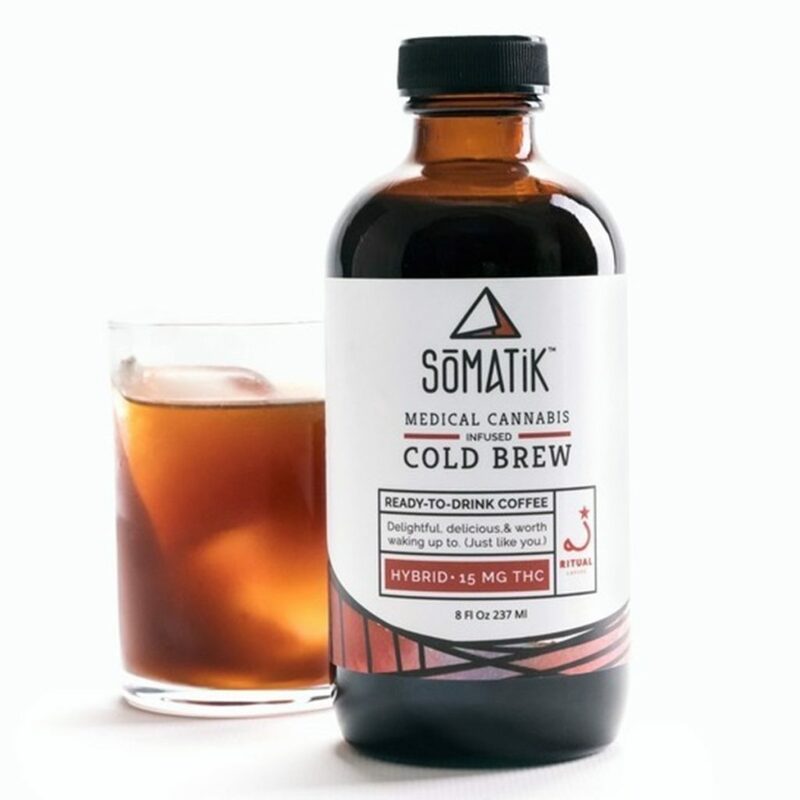 In partnership with the big league bean-heads at Ritual Coffee Roasters, a start-up called Somatik has created a cannabis-infused cold brew that actually tastes good. Blending coffee from Colombian beans that boast a rich, chocolatey flavor with cannabis oil extracted via CO2 from outdoor plants, each eight-ounce bottle contains 15mg of THC that will definitely put an interesting spin on your morning routine. Lulu’s was already selling organic, fair trade, sustainably produced raw chocolate when they decided to spin off Lulu’s Botanicals to provide a cannabis-infused option. 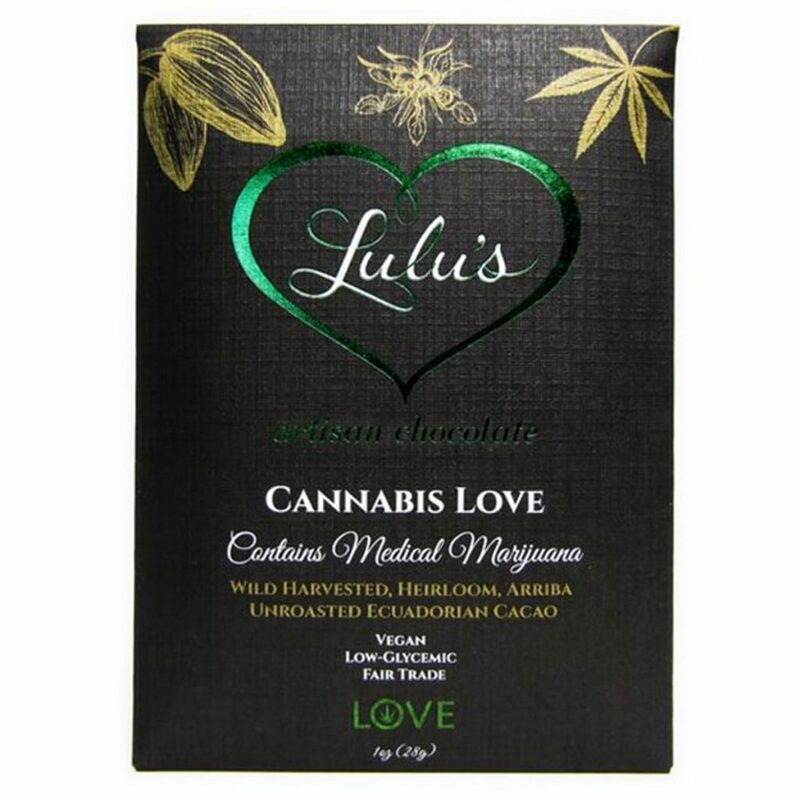 Mixing Lulu’s chocolate with cannabis oil and live terpenes provided by Higher Vision creates a symbiotic relationship between the therapeutic compounds found in raw chocolate and the therapeutic cannabinoids found in cannabis. 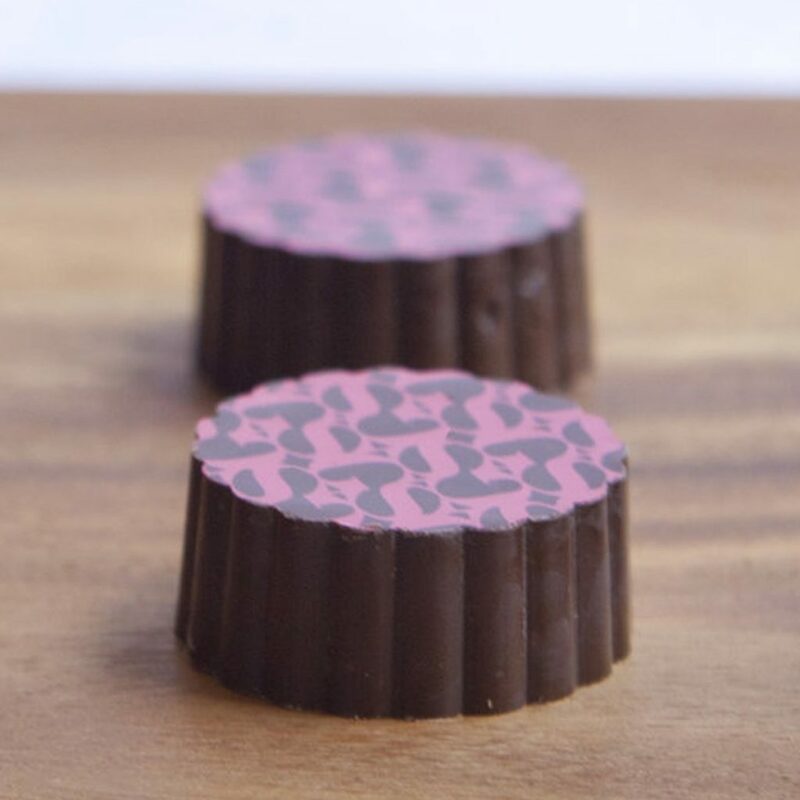 Greater than the sum of these parts, and totally delicious, Lulu’s Botanicals raw cannabis chocolates come in three varieties—Awake, Arouse, and Relax—each with a unique blend of complimentary, adaptogenic herbs. Consisting of a retired military officer, a business management whiz, and a ship’s captain, the Fiddler’s Greens team’s first group project was cultivating for a Sonoma County based collective. Then they turned their attention to transforming their sustainably-grown, pesticide-free, whole, fresh cannabis flowers into a line of Raw Tinctures (“raw” meaning made from flowers that have never been heated). This cold-infusion process retains cannabinoids in their acidic form, providing unique therapeutic benefits. 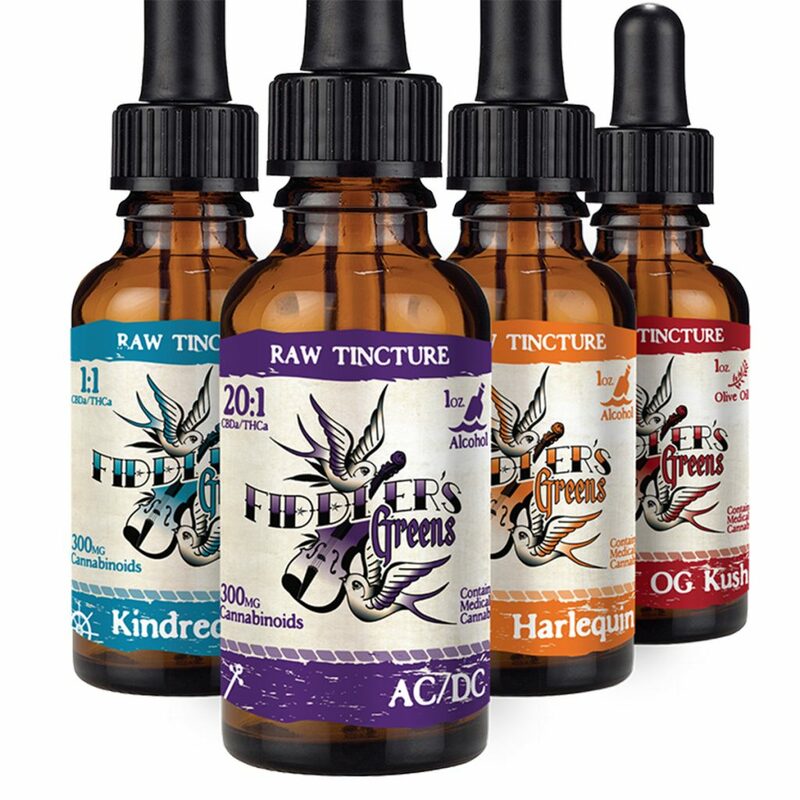 Four strain-specific tinctures (ACDC, Kindred Spirit, Harlequin, and OG Kush) offer varied cannabinoid ratios and terpene profiles. Made from pure ice water hash and organic fruit, these high-potency gummies come in sampler packs, so the only choice you have to make is sweet or sour. Each small sugar-coated square, or Spacedrop, delivers 13.3mg of THC—meaning you can sample just one for a test flight or eat all six in the pack for a trip to the moon. 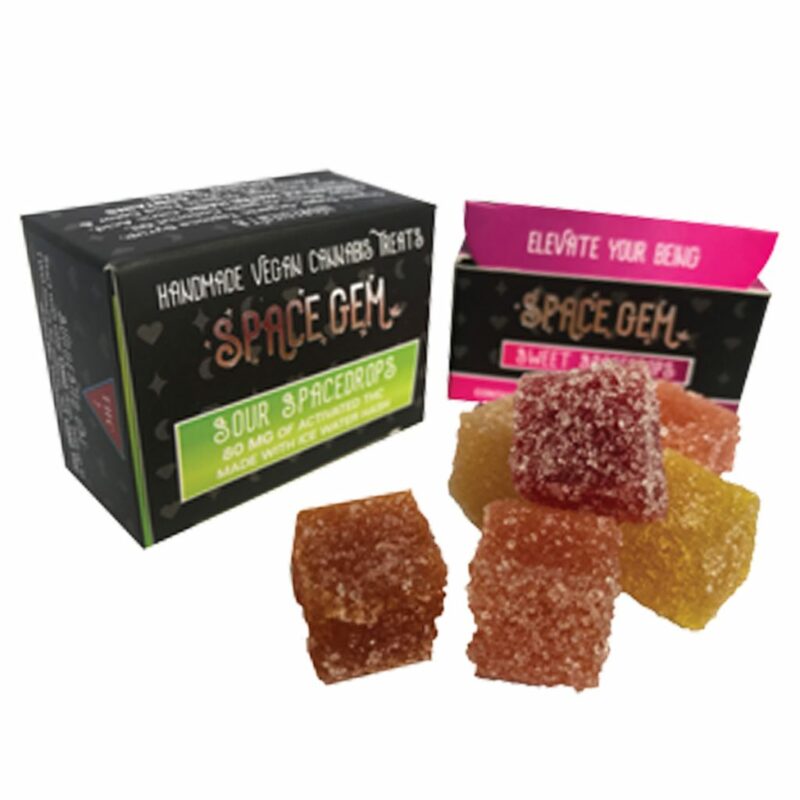 The flavors vary because Space Gems are made of fresh seasonal fruit from local Humboldt County farms, and they don’t taste great “for a cannabis gummy”—they just taste great. 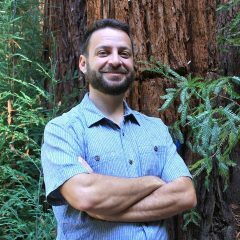 What happens when a classically-trained French pastry chef from Paris moves to California in search of cannabis liberation and ends up falling in love with a second-generation cannabis grower? 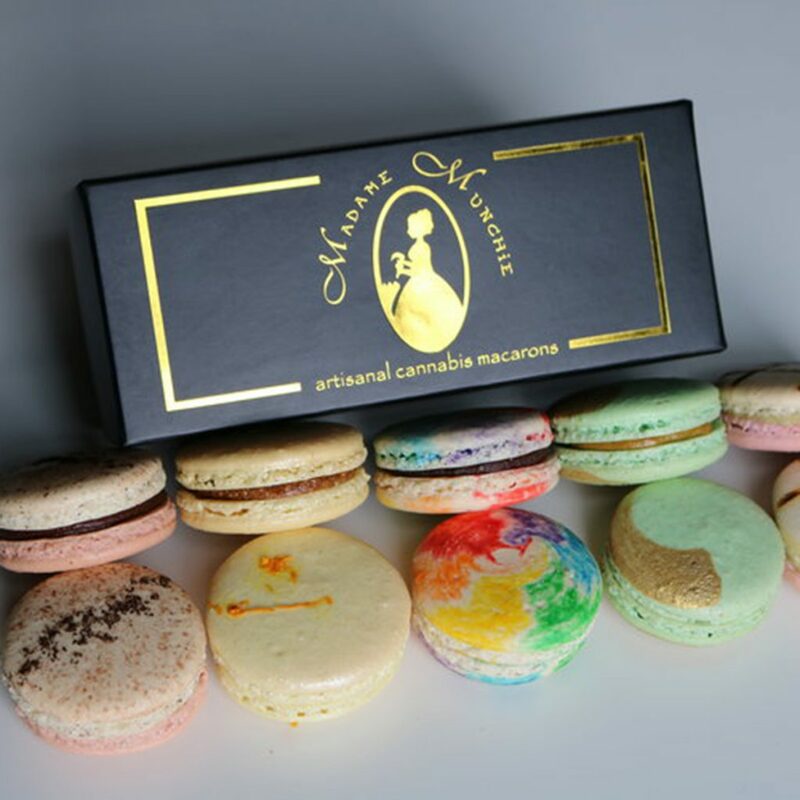 They create Madame Munchie, an award-winning edibles company that specializes in a diverse line of authentic cannabis-infused macarons. Ohh la la! A favorite of Joe Rogan, who praised them lavishly on his popular podcast, Jambo’s line of edibles caters to all the “biohackers” out there pursuing Paleo diets and starting their mornings with a cup of Bulletproof coffee. 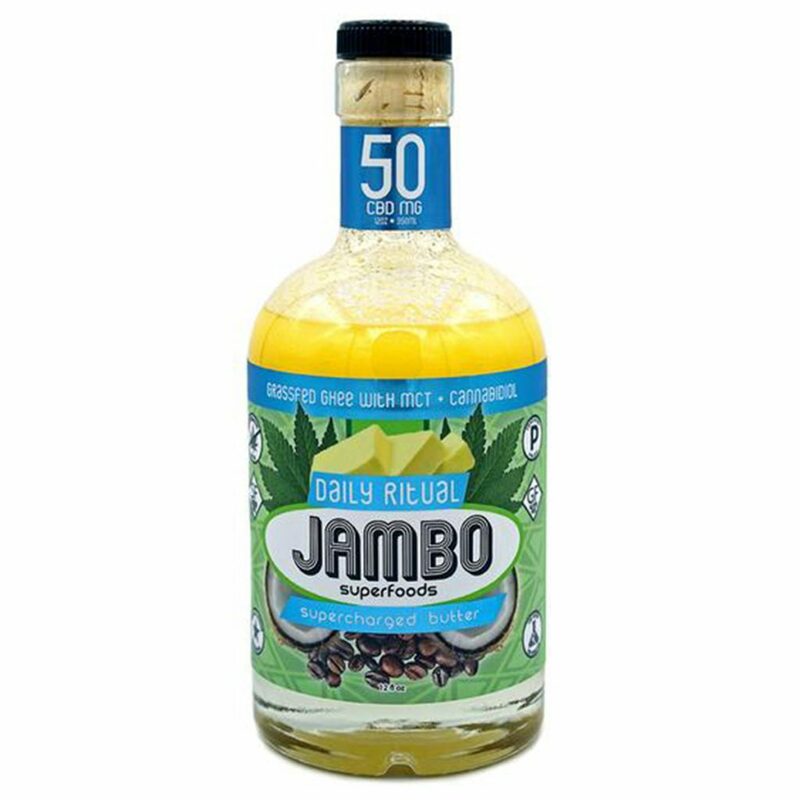 Jambo’s Daily Ritual is a blend of CBD, MCT oil, and grass-fed ghee that can be used in place of butter or cooking oil, including drizzling it over veggies, fish, poultry and meats. 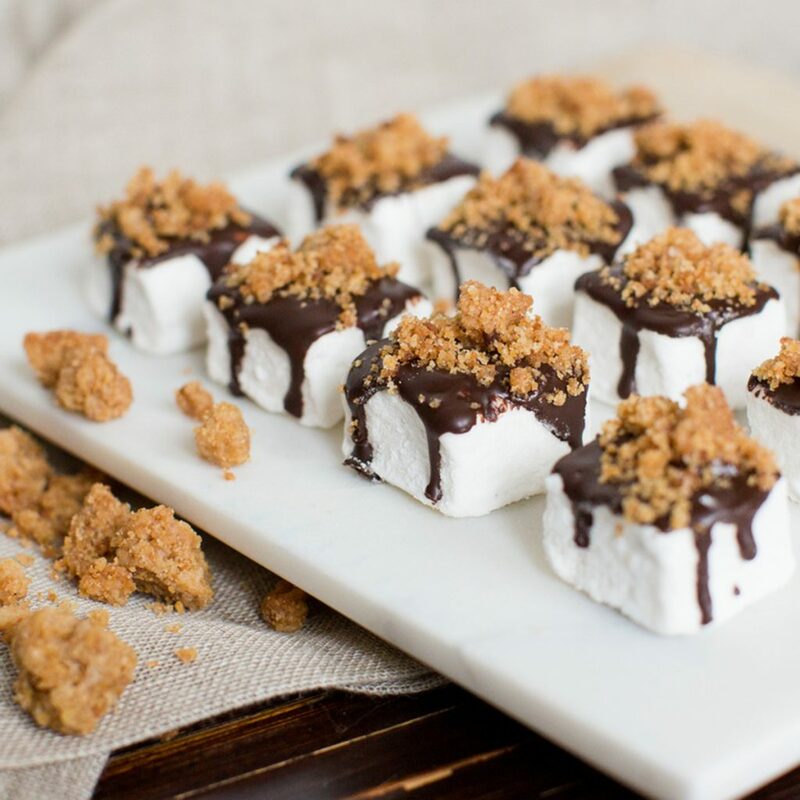 What if the best marshmallow you’d ever eaten also had weed in it? Find out by picking up an assorted-flavor box of Mellows. Each pack contains 12 bite-sized handcrafted marshmallows infused with 5mg of THC each, derived from a Red Congolese sativa strain known for its mellow yet euphoric effects. After sampling Birthday Cake, Brown Butter Sage, Cookies+Cream, Orange Dreamsicle, Peanut Butter Pretzel, and Strawberry Shortcake, you’ll never go back to weedless marshmallows again.